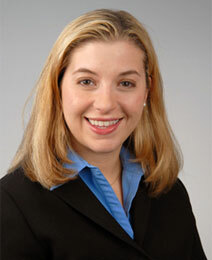 JENNIFER A. BASCIANO is a principal of Brody Wilkinson and a member of the firm’s Trusts & Estates Group. Ms. Basciano practices in the areas of estate planning and trust and estate administration. Ms. Basciano is admitted to practice in Connecticut and New York. She is a member of the American, Connecticut, New York and Fairfield County Bar Associations. She is also a member of the National Academy of Elder Law Attorneys. Ms. Basciano received her B.A. from Lehigh University in 1997 and her J.D. from the University of Connecticut School of Law in 2000, where she was a member of the Connecticut Insurance Law Journal. Ms. Basciano currently resides in Norwalk, Connecticut.